How did ZTE manage to get sanctioned by the US, Big Red Car? Ahhhh, dear reader, in the course of growing their international business, ZTE began to do business with Iran, Sudan, North Korea, Syria, and Cuba. The problem was caused by the inclusion of American hardware (chips) and software (e.g. Android operating system) in products made by ZTE. The senior management of ZTE knew these countries were on the “embargo list” from the United States. They knew it and planned how to get around it. This turns out to be a very big thing. In fact, they made a flowchart showing how to route products in such a way that the Americans would not be able to detect their violations. They distributed the flowchart within the company. The ZTE crowd is not exactly choir boys who got caught up in a single heady moment. Tequila was not involved. It did not happen in Vegas. They have been accused of and admitted to distributing bribes to get work in places like Australia AFTER they were criminally sanctioned in the US. These are tough, resolute crooks and Americans should be forewarned and forearmed that this is how China PLC does business. What sanctions, Big Red Car? The American Commerce Department got wind of the violations, investigated ZTE, and, ultimately fined ZTE $1,900,000,000. In addition, the Americans forbade any American technology companies from selling any products to ZTE for seven years. Not just products intended for Iran, Sudan, North Korea, Syria, and Cuba — everything. Seven years. Currently, ZTE is flirting with bankruptcy. Now, the Chinese have been crying on President Trump’s shoulder. 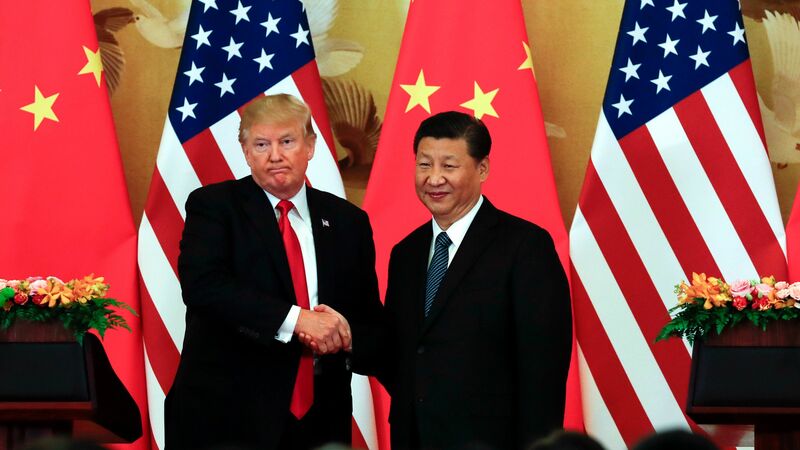 President Trump has gleaned the usefulness of assisting China on this issue because he is in a dialogue with China on trade, in general, and North Korea. President Trump is a pragmatist — meaning he is focused on outcomes and doesn’t spend too much time worrying about how he gets to the results he wants. With no apparent provocation, President Trump has said “too many jobs in China lost” and that he will try to “fix” the problem. Also, there is that personal history with Chinese President (dictator) Xi Jingping. One has to believe if you do a favor for a guy named Xi, the guy name Xi will do a solid for you, no? Again, this is how China PLC does business. They are ruthless cheats, crooks, and when caught regret ……………………………………… getting caught. When they pay a huge fine, they expense it to COGS. So, there you have it. Sanctions are, in fact, useful in many ways. Maybe this case will lead to a solution to North Korea and its nuclear ambitions? This entry was posted in Business, Capitalism, China, Foreign affairs, President Trump and tagged china, sanctions, xi, ZTE. Bookmark the permalink.